Having the Olympics here in BC this winter has everyone thinking about winter sports. While winter sports enthusiasts can visit Mt. Washington or Mt. Cain to partake in snow related activities, there was a time when there was plenty of snow right here at ground level in the Campbell River area. 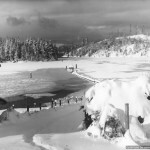 Pictured here is a photo of skaters at Granite Bay on Quadra Island taken when the salt water actually froze over. A long time ago, it could get very cold in this area. Cecil ‘Cougar’ Smith spent his childhood in the Black Creek area in the early 1900s, and recalled a winter when the temperature remained at 12 degrees F below zero. All the cattle died from the cold and lack of food, and they were unable even to go ice fishing in the frozen lake nearby as they couldn’t hack through the ice that was at least three feet thick. Before Mt. 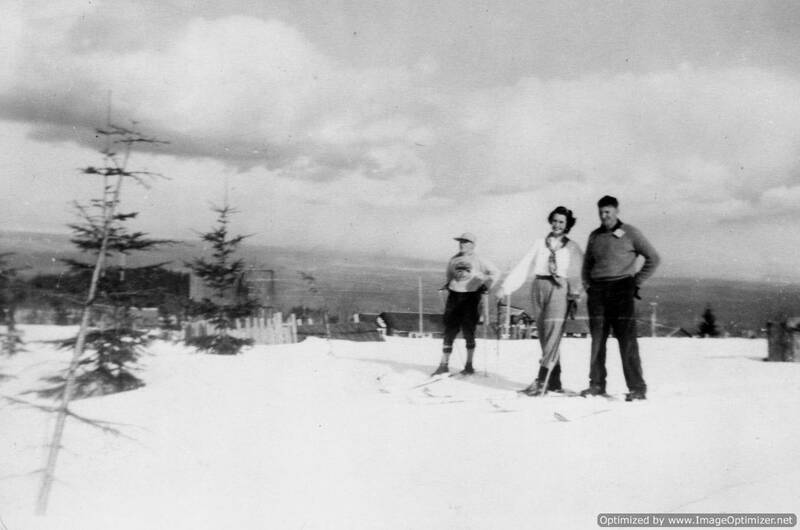 Washington ski resort opened in 1979, Forbidden Plateau was the place to go downhill skiing (see photo left of John Painter and Beverly McKay 1950). Forbidden Plateau Lodge was built in 1934 by Clinton S. Wood, at the top of the Comox Logging Company abandoned railway grade. Shortly afterwards, Coach Line excursions started taking people there to ski. By 1972, there were two tow lifts and a new chair lift (the only one on Vancouver Island at the time), a rental shop and recreation house. In the late 1970s, Jim Boulding of Strathcona Park Lodge had visions of creating a ski hill on the other side of Strathcona Provincial Park near Buttle Lake, and used to fly friends in by helicopter to enjoy the perfect conditions. However, just when it looked like the project would go through, suddenly there wasn’t enough consistent snowfall to support it, which happened to be the same difficulty faced at Forbidden Plateau. 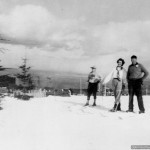 During winters when snow was plentiful, cross country skiing was a popular family sport. Jessica Madsen remembers going up past General Hill to find skiing spots in the mid 1980s. They would ski near John Hart Dam, or sometimes night ski at the Sequoia Springs golf course on Petersen Road. Now it is necessary to go to higher elevations to find snow, and skating is done indoors at local arenas. While the mild weather makes for better driving conditions, there are still those who fondly remember the days when winter sports were right at their doorstep. 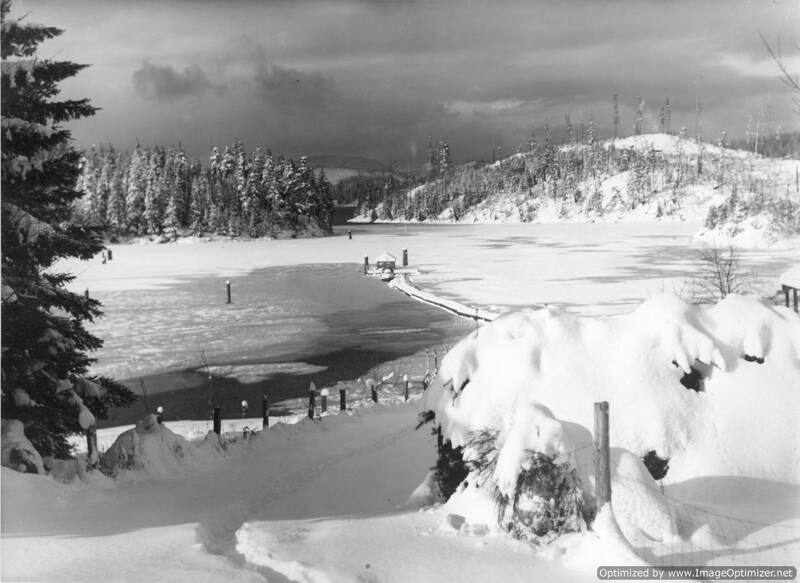 The Museum at Campbell River Archives contains a wealth of old photos of true winter weather, and there are several articles about Forbidden Plateau and its history and development in the vertical files. If you can’t find what you are looking for, just ask for help! The archives are open Tuesday to Friday, 1-4pm or by appointment, 250-287-3103. Railway Logging and a Fascination with Trains. Railway logging became an essential part of the logging industry on Vancouver Island from the 1900s right through to the 1950s. It developed out of the need to access stands of timber further inland after the timber closer to shore had already been harvested, and timber was too far away from the coast for horse and oxen to haul it. Initially it was smaller and midsized companies that ventured into railway logging. “Few people realize just how many logging railroads there were. After 1930, it was pretty well just the big outfits that had them, but before that they were all over the coast, with the greatest number on Vancouver Island.” (‘Raincoast Chronicles First Five’, Howard White). Bloedel, Stewart and Welch had a large and very impressive operation at Menzies Bay, and their railways ran from there inland to the forest lands around Campbell Lake. 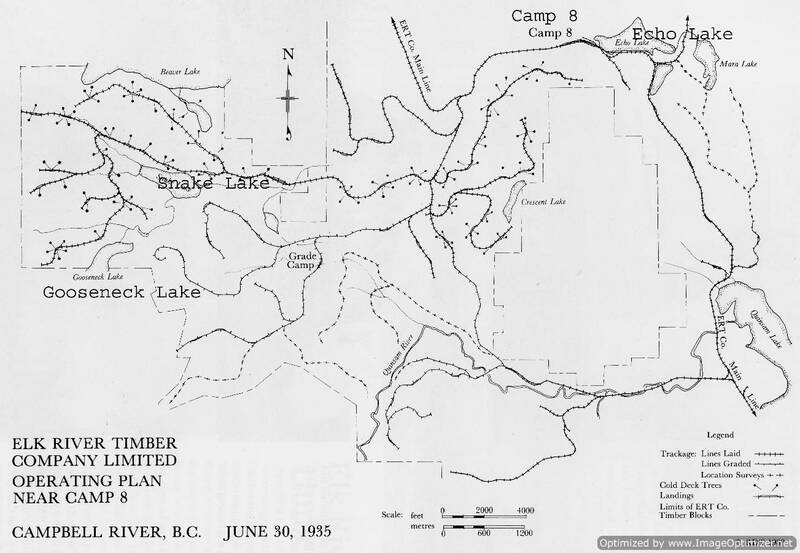 Camp 5, built in 1942 on the shore of Brewster Lake, was a railway logging camp. It housed about 500 people, including 40 families. 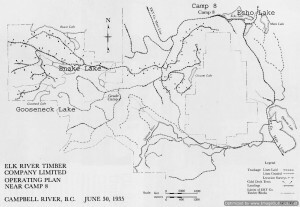 Going even further inland, (about 45 km west from Menzies Bay) Camp 9 was located on the north shore of Upper Campbell Lake, but this disappeared when the lake was flooded by BC Hydro in 1954. Some self sufficient camps actually evolved into communities – like Camp 5 at Brewster Lake, Rock Bay and Nimpkish Camp. These more permanent settlements were abandoned once the timber was gone. Woss Camp (between Sayward and Port McNeill) was the last company owned railroad logging camp in British Columbia. Maintenance on the locomotives in the woods presented many problems to the crews. The responsibility fell to the train crews to bring their equipment into camp. Men took pride in their locomotives and in their ability to maintain them. The use of trucks as feeders for the railroads in the west coast forests was only just beginning in the late 1920s. By the 1930s, only the larger companies kept trains running, and by 1950, trucks had replaced railroads in most areas. Trains could only operate in valley bottoms, and once the timber there was gone, trucks were needed to haul lumber out of the steeper grades. Truck logging became increasingly popular and this also spelled the demise of camp life, as men could easily commute to Campbell River on the roads built for logging trucks. Although much of the rail lines were pulled up and the bridges dismantled, parts of the line are still visible at Goose Neck Lake and Rock Bay. Railways and trains still hold great fascination for many, as evidenced by the well attended event the Museum holds every year at the end of January – ‘Tracks & Trains’, put on by the North Island Model Railroaders. ‘Logging By Rail’ is available for purchase in the Museum gift shop, and the Archives contain several good books on railway logging like Ken Drushka’s ‘Working in the Woods’ and ‘Raincoast Chroncles First Five’ by Howard White. Among the archival photo collection are great photos from the days of railway logging, like the one you see here of Spoolie Kusha and Jack Payne. Grouse Mask by Campbell River artist Raymond Shaw of Kwakiutl heritage. This stunning mask is carved in yellow cedar with cedar bark decoration. Total dimensions including cedar accents, 20” by 12”…buy it now just in time for Christmas!